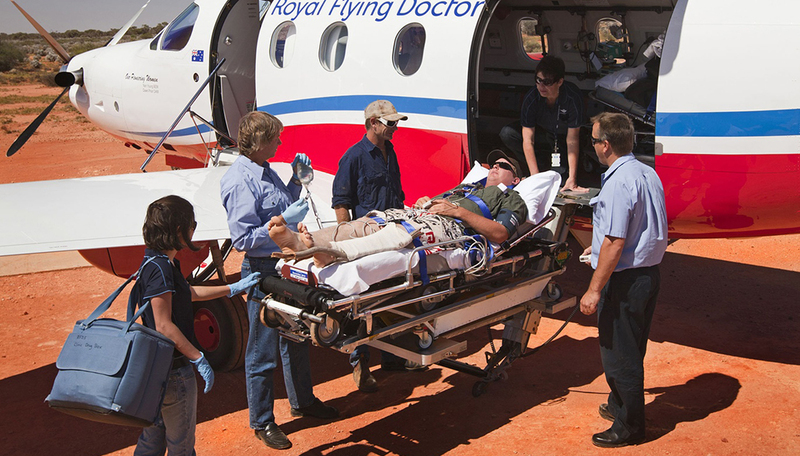 To understand the Royal Flying Doctor Service, you need to first understand Australia. Seventy percent of the country’s 24 million residents occupy only 0.25 percent of the country’s landmass, mostly along Australia’s coastline. The remainder lives in the remaining 99.75 percent of the country, ranging from inner regional to very remote. With a population density of only 3 people per kilometer, Australia ranks as one of the most sparsely populated countries in the world. “That explains why our service is so important,” said Lana Mitchell, the organization’s communications manager, during a phone interview from her office in Canberra. “When you live on a remote station, when you live on a homestead with a five- to eight-hour car ride to the closest town, let alone the closest hospital, it means that when you run into trouble, you need to have a way to get help. So what the Flying Doctor does is make sure that emergency help, as well as primary health care services, are available to those people,” she said. 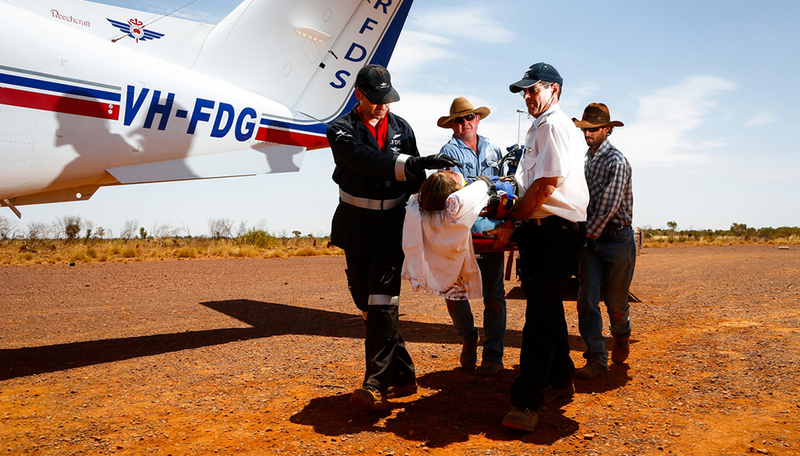 The Royal Flying Doctor Service “exists basically to provide service to rural and remote areas where they don’t have access,” Mitchell explained. “Our metro areas have no lack of health services but as you leave those cities and move inland, you find those services are more and more sparse or more difficult to reach,” she said. Rev. John Flynn, a Presbyterian minister who had previously worked in rural and remote Australia establishing medical facilities, established the Flying Doctor Service in 1928. The first flight of what was then known as the Australian Inland Mission Aerial Medical Service took off from Cloncurry, Queensland in May 1928. The non-profit organization has been expanding ever since, and by the late 1930s was providing medical services in all six of Australia’s federated states. The organization was renamed Flying Doctor in 1942. Currently, there are seven different companies that make up the Flying Doctor service. “Each of those different companies operates within a specific state or territory and each is fully autonomous in terms of their own financials, their own boards, their own governance,” Mitchell said. “We’re a family of companies that work together to provide service across the country” with a total staff of about 1,400 people across the country,” according to Mitchell. Today, its mission remains unchanged. “Our entire business model since the very beginning has been to try and bring health services to all those that need them across 7.69 million square kilometers,” said Mitchell. But over time, the way Flying Doctor delivers its medical services has changed. After initially relying on contractors to provide its aircraft, the service in the 1960s began buying its own planes and employing its own pilots and mechanics. “Our pilots are some of the most highly trained pilots we have in this country,” Mitchell said. 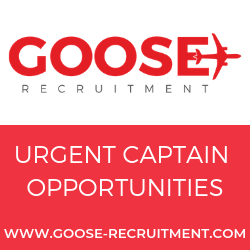 “We’ve got very high qualifications for our pilots: They need to be able to land on dirt runways, in all manner of weather and they need to be able to land routinely in areas where we have no lighting on the runways. So we have emergency lighting of various kinds — including burning toilet-paper rolls and having flares or even truck headlights” to mark out what are often makeshift landing strips, she said. Mitchell said the service employs between 150 and 200 pilots full time. The organization currently operates 69 aircrafts. Flying Doctor reported providing 4,604 emergency evacuations in 2016-2017 alone. It also operates and facilitates clinics in many remote locations, caring for 142,775 patients in 2016-2017. In recent years, what the service describes as “tele-health consultations have played an increasingly important role in the service’s mission. The service provided nearly 89,000 consultations in 2016-2017. Mitchell provided an example of how such consultations have become an important part of Flying Doctor service. “You might be living in remote South Australia,” she said. “You have a daughter who is 4 years old and she had a fever and she’s had a fever for a day and a half and you’re worried. “You’re a long way away from a town or hospital or a doctor, so you might call us and describe your concerns, and the doctor over the phone or over the Internet will assess that patient and will get as much information as necessary,” she said. Mitchell said the appropriate response might be to direct the caller to one of the more than 2,300 medical chests the service has positioned around the country in such locations as parks, police stations, remote homesteads and pastoral stations. “The medical chest might be half an hours drive away. It’s where they could get some antibiotics or access to other types of prescription drugs,” she said. Should the call be deemed urgent, the service will send a plan to evacuate that person and take them to receive medical care. Such tele-health calls today “are the most common service that we provide, giving those in remote locations access to a doctor 24/7 who can give assistance, advice, and direction,” she said. 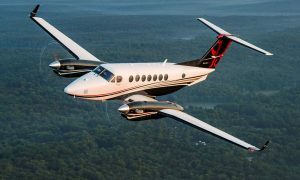 Should emergency evacuation be necessary, Flying Doctor says it can reach any part of the country in two hours with one of its aircrafts based in numerous locations around the country. Mitchell noted that time will soon be shortened with the arrival of new Pilatus PC-24 jets. 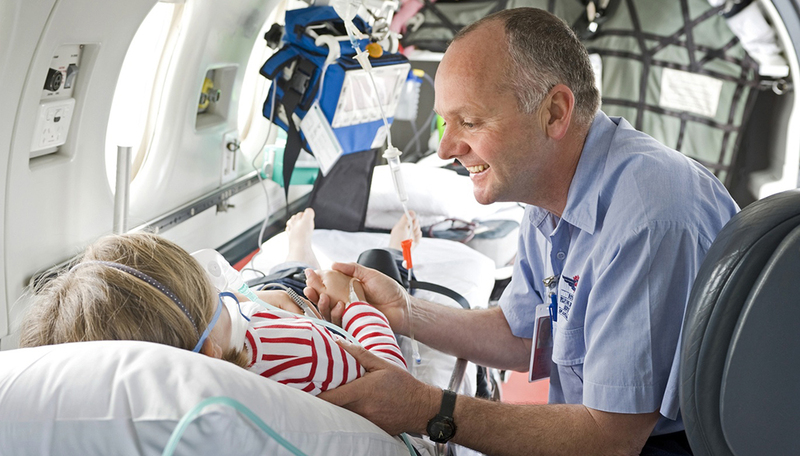 Financing for Flying Doctor Service comes from several sources, including the federal government’s Medicare program, which provides free medical care for all Australians. The service also receives funding from state governments, donations, and corporate partnerships. Mitchell points to a “legacy of innovation” that continues to drive how the organization provides medical services. She notes that emerging technologies, such as wearable devices that allow the service to monitor a patient’s health remotely are playing an even larger role in providing medical services to remote locations. But, as it approaches its 90th anniversary, Mitchell says there will always be a need for the Flying Doctor due to the size and population of the country. It’s those aspects of the country that people seem to love the most. And it doesn’t hurt that Flying Doctor appears to occupy a special place in the heart of Australians, having ranked as the most reputable charity in the country six years in a row.